Parx Racing has had such great success this decade with the "big race day’’ concept that management has decided to double its big stakes days for 2019. If the second big day works as well as the first, expect solid crowds and a big handle on Labor Day. The $1 million Grade I Pennsylvania Derby and $1 million Grade I Cotillion Stakes will be run Saturday, Sept. 21. 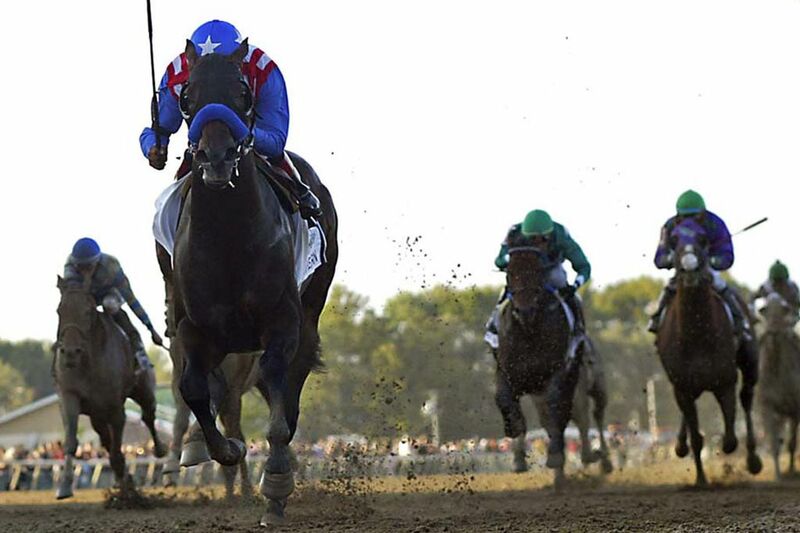 Once the Derby was moved off Labor Day and then combined with the Cotillion, the day has become one of the most important runs in America during September and betting has dramatically increased. The $300,000 Gallant Bob Stakes will again be run that day, but will be run as a Grade II for the first time after getting a bump by the American Graded Stakes Committee. Pa. Derby Day will also include the $150,000 Parx Dirt Mile, the $150,000 Turf Amazon Stakes for 3-year-old grass fillies, and two Pa. Bred Stakes, the $100,000 Plum Pretty and the $100,000 Alphabet Soup. Labor Day has not been as big since the Pa. Derby was moved. It has generally had several stakes, but what has become known as Smarty Jones Day will be much bigger this year. In addition to the $350,000 Smarty Jones Stakes, the track will run the Grade III Turf Monster, often a big prep for the Breeders’ Cup grass sprint, the $150,000 Cathryn Sophia Stakes (named for the 2016 Kentucky Oaks winner) and four MATCH Series races. The MATCH Series, which began in 1997 and ran for five years at mid-Atlantic tracks, was revived in 2018. It will include $2 million in purses and $400,000 in bonuses this year. The races will begin in April at Laurel Park in Maryland and will include races at Parx, Penn National, Delaware Park, and Monmouth Park. That Parx has combined its series races with other significant stakes on Labor Day really should give the track a chance to get another big day, not Pa. Derby Day big, but certainly bigger than it has been. Belmont Park made its centerpiece race, the Belmont Stakes, the ending for one of the calendar’s major stakes days when they moved races from their traditional dates when they were getting lost to a day when everybody is paying attention. Those major days have become the new racing template. Parx already had one. Now, it may be on its way to two.